“Whisky can elevate a cocktail from its bold flavours alone,” said Kaitlyn Stewart on the perennial, all-important question of whether exceptional Scotch whisky should be drunk any other way except neat or with a drop of water. This is a fact that even Scotch whisky purists are inclined to agree with, but Stewart knows exactly how the spirit has the ability to create a remarkable cocktail. 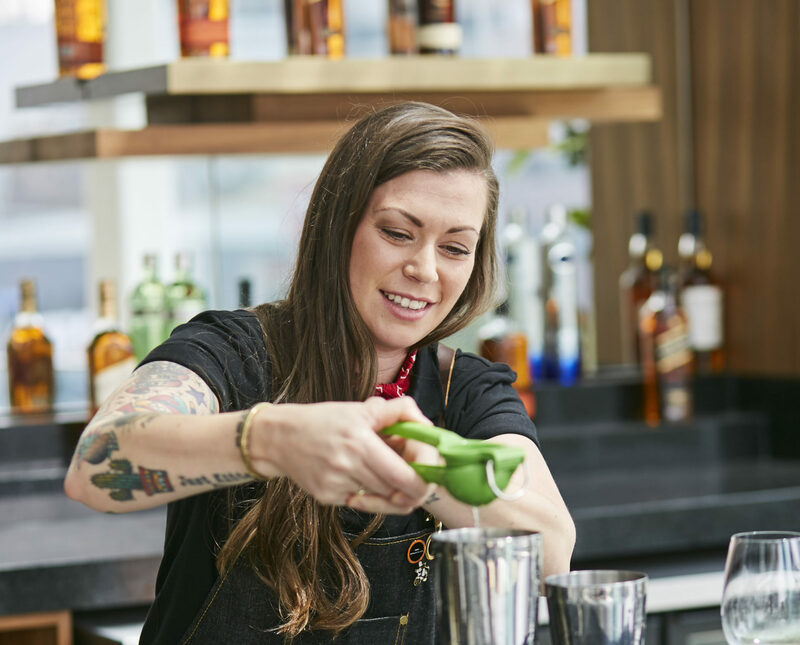 The talented bartender grew up in the hospitality industry, and has added several notable bars to her resume throughout her career before taking the title as World’s Best Bartender at the 2017 Diageo World Class Global Finals. Now, she’s hoping to give Scotch lovers a fresh, bold perspective on enjoying their favourite pour. “I think for the purists, the idea of mixing whisky with anything other than a drop of water is sacrilegious. And for the rebels, like myself, mixing whisky into cocktails only elevates the whisky and showcases a whole other side to the delicious liquid,” she mused. Scotch whisky, particularly the exceptional blends from Johnnie Walker’s portfolio are often imbued with layers upon layers of flavours, all of which vary drastically. Stewart advises that it’s important to look at the bigger picture so that when choosing a whisky to complement the other flavours, they all match in perfect harmony. Unsurprisingly, Stewart’s go-to for cocktail making has always been Johnnie Walker. “The Johnnie Walker Black Label has a fun, playful, approachable smoke to it that’s excellent in cocktails. 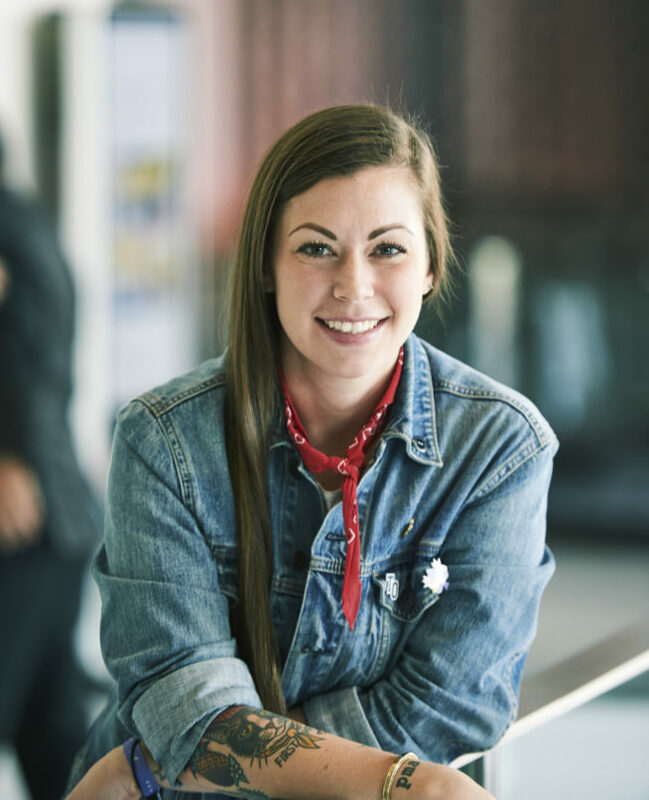 The Johnnie Walker Green Label has a nice long and spicy finish that is always a stand-out in any cocktail, while the Johnnie Walker Blue Label has such incredible depth of character and layers of flavour that always adds something special,” she says. To drive home the point that classic cocktails can be reimagined with the help of good Scotch whisky, the award-winning bartender reinvented three signature recipes, choosing to use the prestigious Johnnie Walker Blue Label as the anchor in each. Here’s how you too can enjoy your whisky in a brand new way. Directions: Combine all ingredients into a mixing glass and stir for 15-20 seconds. Strain into a chilled coupe glass and garnish with a lemon twist. Bartender Notes: This cocktail is a twist of a gin-based cocktail called a Bijou. The delicate floral notes found in Johnnie Walker Blue Label play off of the medicinal qualities of the green chartreuse while the rich chocolate notes pair perfectly with the Amaro. Directions: Combine all ingredients into a shaker tin and dry shake for 10 seconds. Add ice and wet shake for an additional 15 seconds. Fine strain into a rocks glass, neat. Garnish with a dehydrated lemon peel. Bartender notes: Taking an iconic serve such as a whisky sour and tweaking a couple of components to elevate the flavour, can make all the difference. With John Walker having blended and sold tea at his grocery store in Kilmarnock, I thought it would be fun to pay homage to the history of the Walker family all while elevating the layers of flavour found in of Johnnie Walker Blue Label. Directions: Combine all ingredients (excluding the champagne) into a shaker tin and shake for 10 seconds. Fine strain into a champagne flute and top with champagne. Garnish with an orange twist. 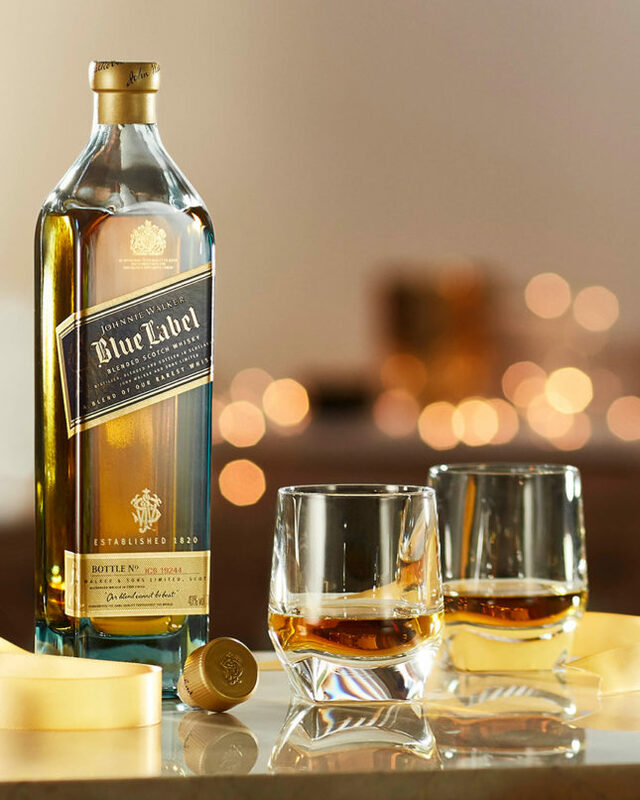 Bartender notes: For most, Johnnie Walker Blue Label is only brought out on special occasions. So, for this cocktail I thought I’d take a classic serve such as a Champagne cocktail, Seelbach or French 75, which also have a sense of celebration and an air of elegance, and pair the two together. Sometimes it’s fun to go over the top!